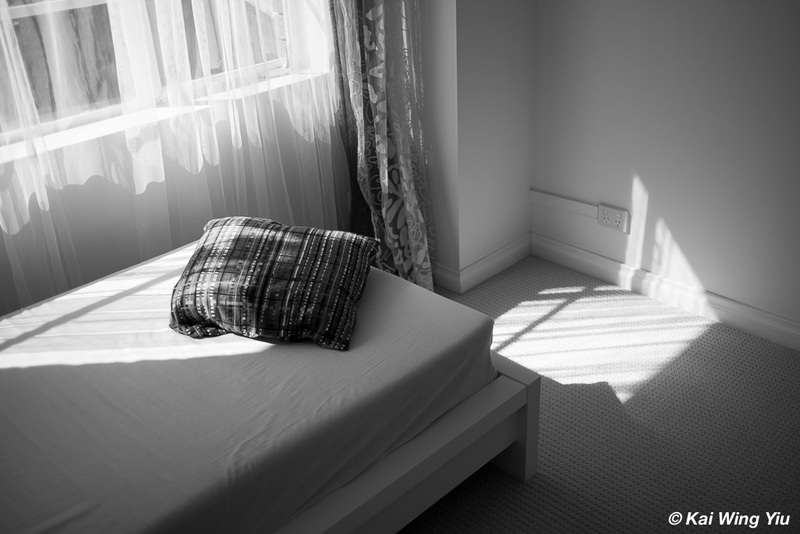 Today I presented a photo in black and white, with a simple title: The Cushion. Anything can become an object of desire. I took two photos on two separate days of this cushion using the Leica M with the Summicron-M 35mm f/2.0. I preferred the featured image rather than the one posted on this blog because of the perspective. The image titled “The Cushion #2” was pictured one day ago about the same time. I converted both images to Black and White in Adobe Lightroom. When I checked the shooting information, the aperture in the app shows it was f/4.0. But I remembered clearly it was f/2.0 and was taken in the Aperture Priority Mode. I also checked info from the rear LCD of the camera. There was no display of any aperture, only the speed. It was either the issue of the camera or the mistake of the app. Or that is the issue of using Aperture Priority Mode. Perhaps I should try Manual next time. Using Aperture Priority is a matter of convenience. It is a benefit of setting the lens to the largest aperture to get the desired object in focus. I have never used Summilux-M before and a comparison by the naked eye is really hard. Leica optics are not cheap either. But the silver version of Summicron-M 35mm f/2.0, even though it is heavier, is still a gem. Who is the next camera trend setter?